Are you swimming through anxiety? Do you feel guilty over things you have not achieved or feel resentful for what someone did to you? Prayer request Ministries offers prayer,bible study guide and lessons to men and women from all walks of life. You have tried to reach a goal but nothing happens, you only feel guilty currently. Someone in your life is being and obstacle to happiness and the only thing remaining is resentment, you have just hated the person. You currently feel anxious because you have tried something but fear scares you. Prayer will work for you. Prayer is an activity that takes as before the presence of God and it's only in the presence of God that we get the peace that surpasses human understanding. With our busy daily schedules, we want to make use of the improved technology to enlighten ourselves. We thank you for visiting our site as we help you with prayer points to pray against any spirit that causes bad luck ,misfortune,curses and lost opportunities in your life , family and work place. We assure you that we are praying for you and God will deliver you and your family. We pray for each other from around the world, so that the spirit of grace and favor to be upon each and every one of us who loves the Lord. You are always faced with tragedy after tragedy and have never known any peace in your life. You and others make an occasion very successful but only later to realize you have made a silly mistake that ruins every thing. In the midst of many people you are singled out for a mistake that you never committed. You are promised a favor but somehow bad things happen that makes them to change mind. Everywhere you walk, shall hear people of goodwill talking of "being luck", "wish you good luck". Is it true we Christians should also say that things happen by "good or bad luck"? As you can note from above, the Good News Translation has used the word bad luck while the rest uses the "Time and Chance " happen to all. Therefore in this page we are going to peg our prayers that it is possible to pray a prayer of knowledge of truth. You are sure of a resourceful site that is nearer to you. Besides this resource I also conduct prayer seminars, workshops and campaigns around the world. How can I teach you to pray effectively? Praying effectively means you know how to pray rightly according to the word of God or what God intended prayer to do in our lives. 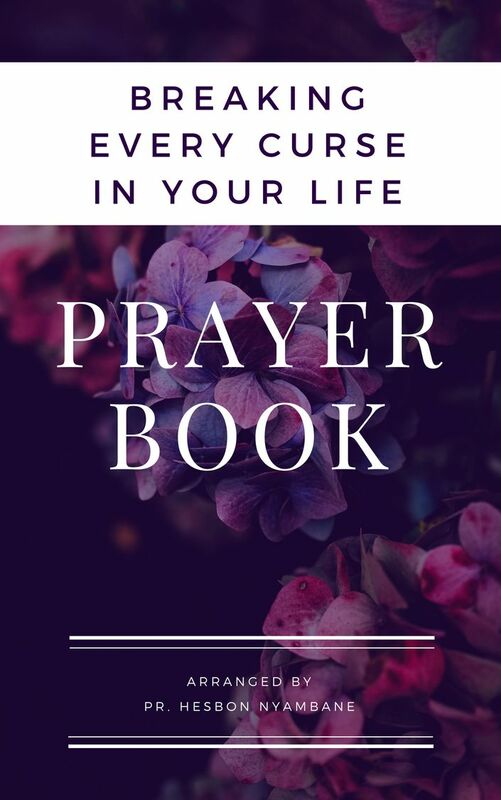 That is the purpose of this prayer resource to help you pray purposely. In today's world we have people who pray good prayer even though not necessary praying right. How do we move from praying good prayer that is acceptable to others but don't produce results to a right prayer that is according to the word of God that gives us the results that we yearn for or desire in our lives. Many people are stuck with religious prayers and can't understand why nothing is moving in their lives. Don't be counted among them. There is a way out in Jesus Christ. By joining me means that our loved ones from anywhere in the world are assured that someone is praying for them. As we are going to learn, prayer is a divine science and once you master it, you will be out praying without giving up. Don't worry where you will begin from, just being willing is enough then from there we shall guide and show you how to pray and you will teach others near you too. As a volunteer in this exercise, we know and understand how important you are. You will find here sample prayers that can guide and help you and also we shall be sending inspiration materials to your inbox that you can share with those around you that need assistance. God has given us a way out. Prayer request Ministries is a volunteer movement that is not affiliated to any denomination but we belong to the body of Christ. Our prayer examples and materials here are meant to be used freely and shared amongst yourselves. Inspiring stories both from the bible and individuals from around the world of what prayer has done to their lives. We are one of the most popular prayer site ministries in the world. Ten thousand of people come here daily for prayer request and to get inspired. We are here to encourage ourselves to know how to correspond with the environment of God and prayer is the only means in which we can remain in touch with this environment that the soul and spirit is yearning for. To live is to correspond and to correspond is the live. Prayer request ministries will help you to know that and assist you to remain in touch with God to eternity. if my people who are called by my name humble themselves, and pray and seek my face and turn from their wicked ways, then I will hear from heaven and will forgive their sin and heal their land(2 Chronicles 7:14). Please take advantage of this ministry and join thousands of others from around the world who believe in the power of prayer. We know that there is a lot of secrets behind an effective prayer. We welcome you to our ministry to learn and know how to pray that effective prayer. prayer is the means in which God has appointed for preserving our spiritual life in existence and for retaining the Holy Spirit. we need to ask,seek and knock . God delights in those thus show how deeply they feel their need of this crowning blessing. For the spirit of God must be sought by prayer,if we would experience His blessed in working. We train and show you how to pray for yourself a thanksgiving prayer and for ALL PEOPLE AROUND THE WORLD. We help individuals and Christians around the world to post and also learn how to pray. Anytime you want others to join and help in prayers you can post and many people around the world will join you. Nobody has ever known how to pray more than our Lord Jesus Christ. He is the one who made it clear that we need to pray without getting tired,from him we are able to learn secrets about the prayer ministry that is very important to a Christian life. 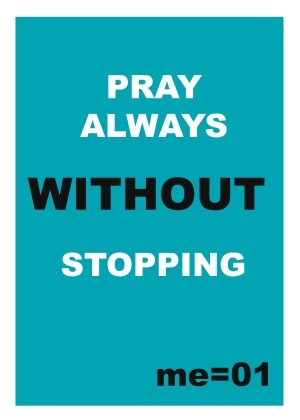 If you want to succeed in anything then you ought to pray always. This prayer request ministries was born after I spend many years wanting to know why God gave us the prayer ministry. Have taught about prayer for many years and understand the importance of prayer for an individual or a congregation. Just be sure that God answers prayers and depend on us to pray in order to overcome the world. God depend on the avenue given, that is the gift of prayer to access the world and fight for His people who are you and me. 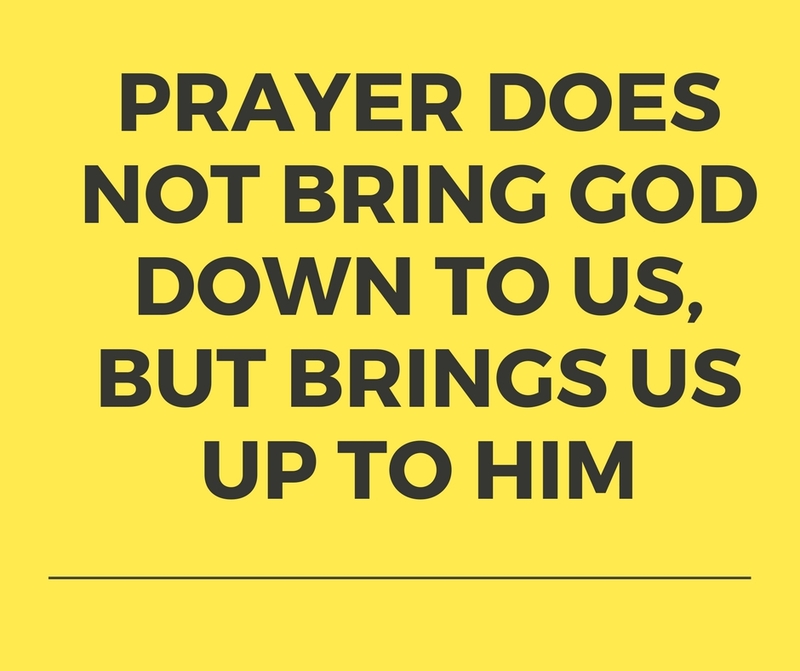 You can imagine how important prayer is to God and you. Jesus spend most of his time while on earth as a human being praying and communing to his Father. If you can forget everything else please don't forget about prayers. I started this online prayer request ministry to encourage you to pray and make your request be known to God always. 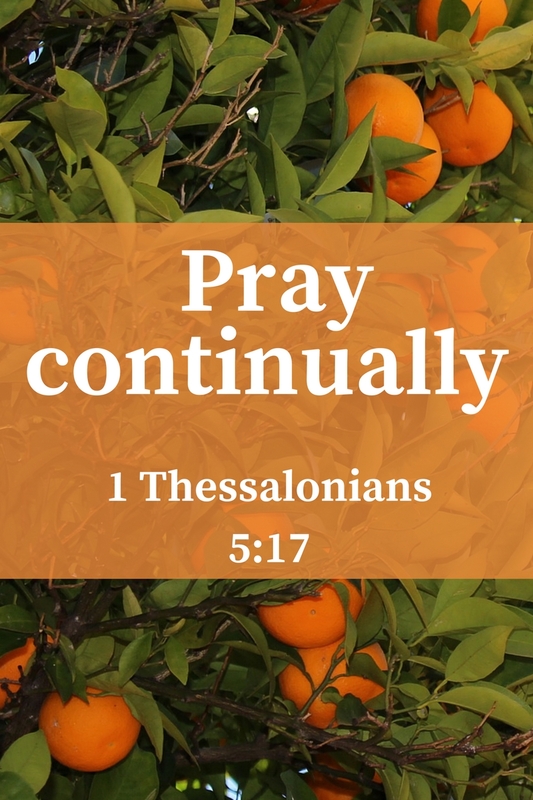 Pray always with all manner and types of prayers given in the bible. I'm here to help you in praying for your needs and also teach you how to pray because no one is born knowing how to pray. You cannot inherit how to pray. You can inherit everything else including money and wealth but you cannot inherit prayers and how to pray. 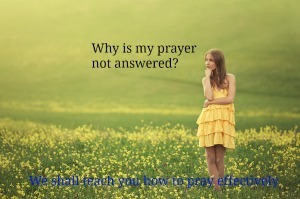 That is how it is very important for you to be taught how to pray. The best person to teach you how to pray is Jesus and by extension his disciples because Jesus taught them how to pray when they came to him to be taught how to pray. One day Jesus was praying in a certain place. When he finished, one of his disciples said to him, “Lord, teach us to pray, just as John taught his disciples(Luke 11:1). As one of the disciples of Jesus I'm going to teach you how to pray. I know you are asking how do I know that I'm a disciple of Jesus Christ. Don't worry if you are a believer of the word of God and you understand its authority then this is how we know how to become the disciple of Jesus. To the Jews who had believed him, Jesus said, “If you hold to my teaching, you are really my disciples(John 8:31). If you hold into the teaching of Jesus then you are his disciple and Jesus will teach you how to pray. I have come to trust on the word of God and reason why we need to have faith on it before we pray. As a ministry we are continuing with the work that Jesus himself began while on earth. And Jesus promised that if we believe in him the work he did shall we also do it. What work was Jesus doing while on earth. Let us ask Jesus to tell us. Jesus went about doing good by praying for them who were oppressed by the devil so that they can be set free. That doing good never stopped with Jesus because the same power is still in operational till today and we can only have the same power by believing in him-Jesus Christ. The same principles that Jesus used is still working today and we need to connect to him in order to achieve that as he said here in the book of John. If you remain in me and my words remain in you, ask whatever you wish, and it will be done for you(John 15:7).Just believe that it is Jesus who is doing it and he is using you as weak vessel to accomplish the purpose of setting free those who are oppressed. Our work here is to remain committed to his word and carry the name of Jesus in prayers. Prayers is the oxygen of life and we need it all the time to keep ourselves in the world of God which is His word that our world doesn't know about. From around the world many believers are in touch with the heavenly gates as they receive the blessings of heaven. we need to pray to God without ceasing. Pray for yourself and many more that are around you. make a prayer request through our ministry and you will be connected to many like minded people around the world who have believed in Jesus as the Lord of their lives. Here we shall tackle different types of prayer that is offered to our loving God. When paul wrote a letter to Timothy he introduces some types of prayers that we use to worship God with as we read here. What of you spending time with family members and remembering each in prayer. Find samples in this page to guide you. 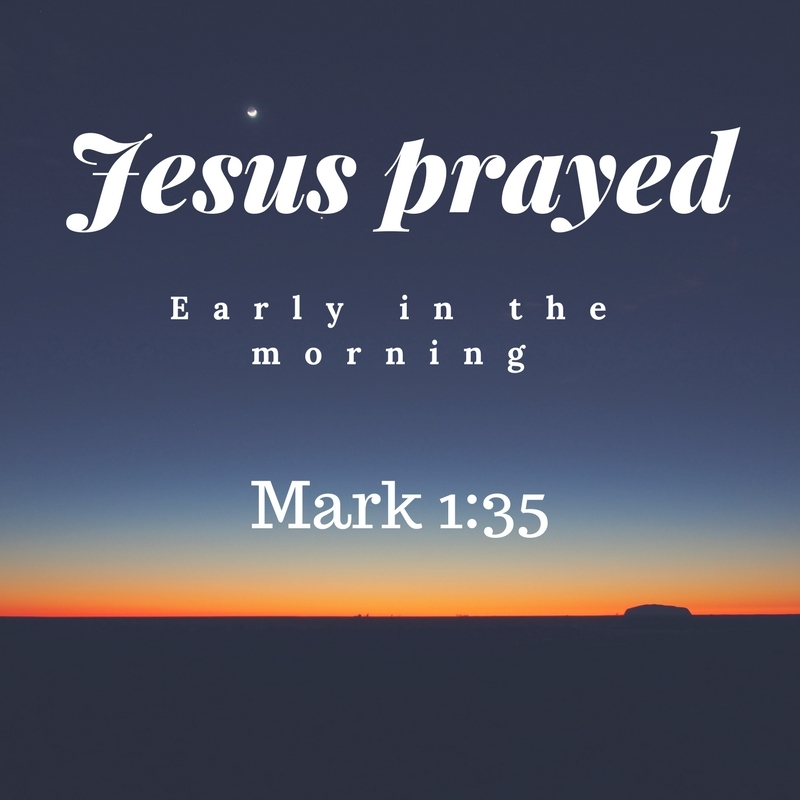 The ministry of Jesus centered around prayers and he spend much of his time praying as a human being. He knew that without prayer the work a head would not be effective. 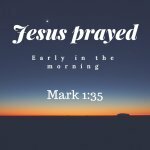 You would see him waking very early in the morning to go and pray in a solitary place. Why did he go out alone? but the disciples are yet to understand what prayer is all about until Jesus taught them. He was praying in a certain place, and when he ceased, one of his disciples said to him, "Lord, teach us to pray, as John taught his disciples(Luke 11:1). They got curious for the results that Jesus was getting and they got interested to wanting to know. We pray for the same spirit upon our lives so that we can get curious to the power of prayer and start asking Jesus to teach us. He is more than willing to teach us always.That is why this Prayer Request Ministries is there for. we are here to partner with you to effect our prayer lives. Wherever you are,just know that we are praying for you and you are in our list of prayers. The subject of prayer is very important to one's life and anyone who ought to make his or her life a success. You must learn how to pray and above all study the subject of prayer until you understand it. We are by your side and want to make sure that you are successful and your prayers are answered. Seeing your prayers and our prayer being answered is what makes our heart get satisfied. It doesn't matter where we come from,what we do,our color or race. What matters is knowing that we have heavenly father who loves us equally and has invited us to come and unto Him and shall show us great and hidden things that we don't know. Hidden in that we only access them through prayer. You can now see why prayer is very important in our lives and why it is the key that unlocks many things that God has laid since the foundation of the world. As we Prayer Request Ministries, we invite you to join us as we learn and discover the will of God for our lives.